This is the second post in a brief series on Nicole Vincent’s article “Madness, Badness and Neuroimaging-based Responsibility Assessments”. 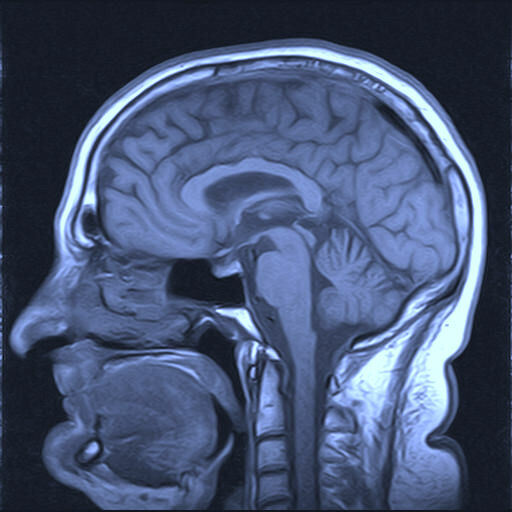 In part one, we covered the basics of criminal responsibility and provided one suggestion for how neuroimaging could play a part in responsibility assessments within the criminal law. To summarise what was said there, in general responsibility seems to track mental capacity. That is: the possession of certain properly functioning mental capacities (e.g. the capacity for rationality) is usually seen as a necessary precondition of responsibility. If these capacities are not functioning properly in a particular agent, then that agent may be excused from responsibility. Since the brain is the organ in which mental capacities are instantiated, and since functional brain-imaging reveals the workings of the brain, it would seem like brain scans could tell us whether or not the responsibility-relevant mental capacities are properly functioning. I identified several problems with this line of reasoning at the end of part one. In particular, I said it makes dubious factual assumptions about mind-body physicalism (assumptions that some physicalists reject) and that it makes dubious normative assumptions about the link between capacities and responsibility. In this post, we look in more detail at these dubious normative assumptions, following Vincent’s arguments as we do so. Vincent grounds the discussion in an example. Suppose there is a man named Conrad and that he is a psychopath. As a psychopath, he lacks the capacity for empathy. Functional brain scans reveal that certain areas of Conrad’s brain — areas that have been independently connected to empathy — are functioning below or outside some statistically normal set of parameters. Suppose Conrad kills somebody. What should we conclude about Conrad’s responsibility for the killing? Vincent considers three possibilities. The first, which seems to be her own preference, is to adopt a standard capacitarian line. If the capacity for empathy is a necessary precondition for responsibility, then evidence of Conrad’s impaired capacity counts against his responsibility. Now, to be clear, we’re not saying here that empathy is a necessary precondition of responsibility; we’re just saying that if it is, then Conrad’s incapacity could be an excusing factor. If empathy is not a necessary precondition for responsibility, then the evidence does nothing to excuse. Applied to Conrad, Maibom’s approach would work like this: a lack of empathy is a moral failing, something that makes a person bad as opposed to mad. Therefore, Conrad is responsible for causing the death. Indeed, he is many ways the worst kind of criminal, one that is completely without remorse for what he has done. The third possibility, this time attributed to Margo Reimer, is to adopt an uneasy and unprincipled amalgamation of the other two. Reimer believes that evidence of impaired capacity could be both an excusing and an aggravating factor. It just depends on how we choose to look at it, and there is no objective or principled basis from which to make this choice. From one perspective, Conrad’s lack of empathy could be viewed as a deficit or disorder, something that impairs him relative to the normal person. As a result, this perspective tends to excuse Conrad. From another perspective, Conrad’s lack of empathy could be seen as an evolutionary adaptation: something that allows a few non-cooperators like him to “free ride” on a society of otherwise cooperative individuals. As a result, this perspective tends to morally condemn Conrad. Obviously, having all three of these possibilities out there is unappealing. Vincent thinks her interpretation is correct, but why? To answer that question, we must do two things. First, we must look at her reasons for dismissing or, at least, discounting the views of Maibom and Reimer. And second, we must look at her reasons for endorsing her interpretation. We’ll focus on the first of those tasks in the remainder of this post. Vincent is surprisingly quick in her dismissal of Reimer. In essence, she says that Reimer’s concern — about the lack of a principled basis for choosing between the madness/badness interpretations — is nothing new. Which is to say: it doesn’t say anything in particular about how we ought to interpret neuroimaging evidence of incapacity. The very same interpretative difficulty applies to behavioural evidence of incapacity. For example, Gary Watson famously discussed the case of Robert Alton Harris in his work. Harris was executed in 1992 for murdering two people in cold-blood in 1978. The murder was brutal, and Harris was without remorse. But Harris had also suffered extraordinary hardship, rejection and brutality during his upbringing which had no doubt moulded him into the person he became. So was Harris mad or bad? The question arises even without any neuroimaging evidence. I’m not so sure about this quick dismissal of Reimer. For one thing, I don’t think either Maibom’s or Vincent’s interpretations say anything in particular about neuroimaging evidence. Their arguments could just as easily apply to behavioural evidence as well, so why make that a ground for dismissing an argument? I’m not sure that relevance to neuroimaging should be a guiding consideration here. Surely the issue Reimer raises is important, irrespective of whether it is new to neuroimaging evidence or not? Moving on to her dismissal of Maibom’s interpretation, Vincent has something more interesting to say here. She says that Maibom’s argument that incapacity could actually be evidence of responsibility is question-begging against the capacitarian. How so? Well, because it simply reverses what the capacitarian thinks about the entailment relationship between judgments of madness/badness and judgments of responsibility. (7) If Conrad lacks the capacity for empathy (as revealed by a brain scan), then Conrad is bad. (8) If Conrad is bad, then he is responsible for what he does. (9) Therefore, if Conrad lacks the capacity for empathy, then Conrad is responsible for what he does. (10) If Conrad lacks the capacity for empathy, and if such a capacity is a necessary precondition for responsibility, then Conrad is not responsible for what he does. (11) If Conrad is not responsible for what he does, then he is mad (in the sense that he suffers from an excusing disorder). (12) Therefore, if Conrad lacks the capacity for empathy, then he is mad. As you can see, premise (11) here suggests that judgments about responsibility entail judgments about madness/badness. This contradicts premise (8) above. This is a problem since it suggests that Maibom and the capacitarian disagree about a fundamental premise, and so Maibom cannot hope to persuade the capacitarian simply by appealing to the concepts of madness and badness. I think what I’ve just said is a reasonably fair summary of what Vincent says in her article, but I could be wrong. I found it difficult to summarise the reasoning presented in a precise manner. Assuming it is correct, I think there are plenty of problems with it. What seems lacking here is any explicit acknowledgment of the role of norm-setting in theories of responsibility and theories of illness. To be fair, Vincent is aware of this (see post on the STRC), but allow me to explain why I think it’s particularly important here. For starters, I think it’s true to say that whether some physical or mental incapacity is classified as a disease (madness) or a moral defect (badness) is a normative or evaluative question. It is not something that can be simply read off the physical data, it is something we impose on the data. This is a problem for Maibom’s view since it means that classifying something as a disease or a moral defect is not going to be a straightforward or value-free exercise. If we classified a lack of empathy as a disease, as opposed to as a moral defect, then there would be no real disagreement between her and Vincent. They would both reach the conclusion that Conrad was excused. At the same time, whether or not a particular capacity is a necessary precondition for responsibility is also a normative or evaluative question. This is explicitly acknowledged in how I phrased premise (10) of the above argument. Note how the premise is a double conditional: it only applies if the capacity for empathy has previously been acknowledged as a precondition for responsibility. Plenty of people disagree about whether empathy is necessary for responsibility and their disagreement is a normative one: it is concerned with the standards or ideals we expect of a responsible agent. If we decided that empathy was not necessary for responsibility, then there would be no real disagreement between Vincent’s position and Maibom’s. They would both reach the conclusion that Conrad was responsible. So, as you see, the disagreement between the two sides here is being driven by their answers to the norm-setting questions in theories of responsibility and theories of disease respectively. Change the answers and the disagreement vanishes. This suggests to me that the issue here is not really one of question-begging on the part of Maibom, but, rather, one of questions being ignored by both sides. Anyway, that’s all for now. In the next post, we’ll look in more detail at Vincent’s defence of her position.